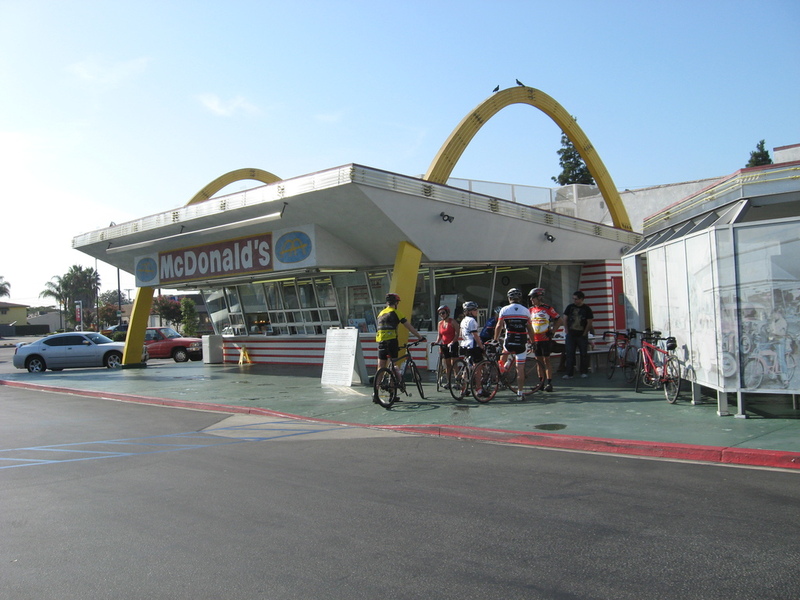 Today’s bike club ride was another sightseeing trip to Downey. 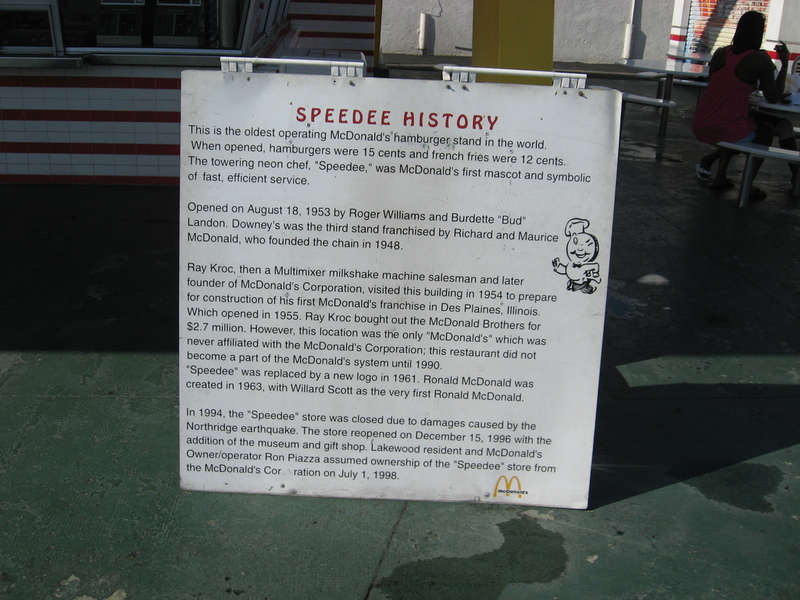 We’ve gone there before to see history from The Carpenters, but this time, we were going to see a bit of the history of the space program there. Our destination was the Columbia Memorial Space Center, which was built at the site of the former North American Aviation, and later Rockwell plant where both the Apollo Command and Service Modules were built, as well as the Space Shuttle. The trip there was very straightforward. Literally. 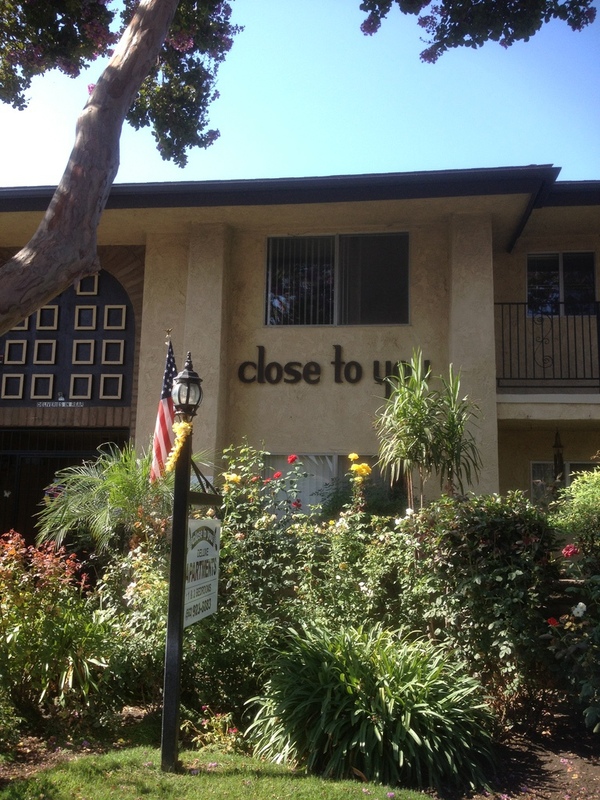 We just rode down through San Gabriel and got on Rosemead southbound. And then we went straight for something like 10 miles. 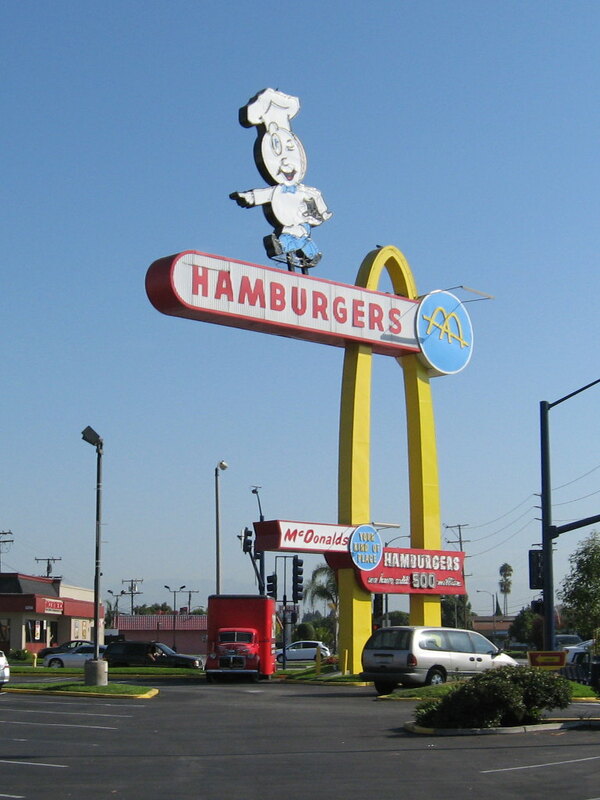 We had one brief stop to look at he oldest operating McDonald’s at the corner of Lakewood and Florence. We could also see that we were getting close to our destination. The shopping center next to it was “Apollo Center”. 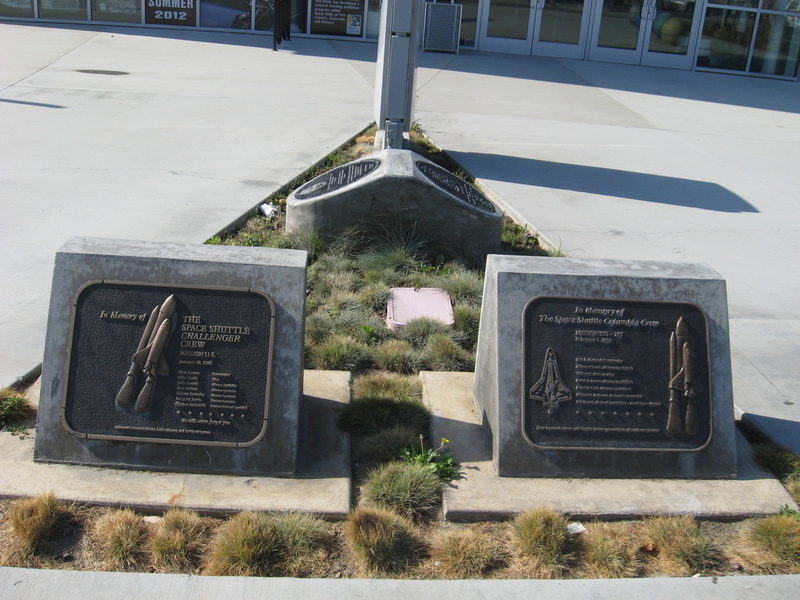 Building the space ship to go to the moon had to have been a source of civic pride in Downey. The space center isn’t open on Sundays, so we didn’t get to go inside. 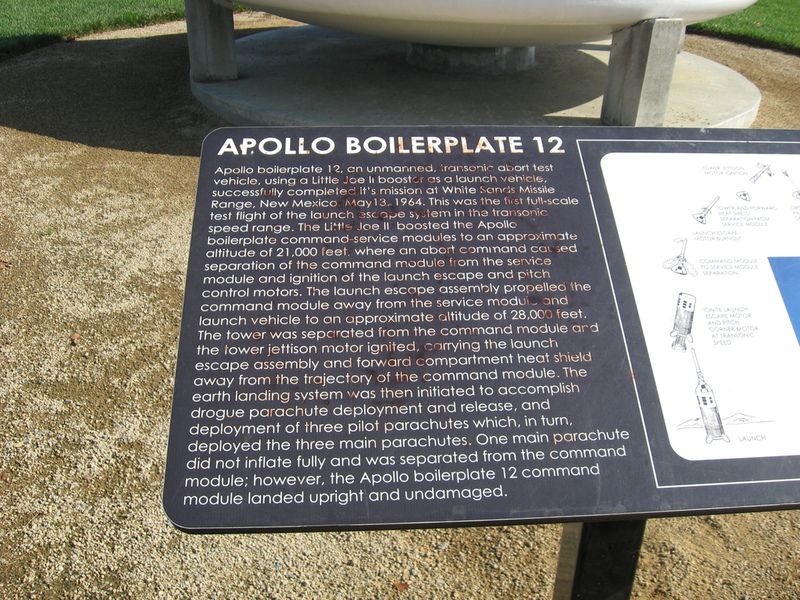 We were mostly there to see the Command Module boilerplate test model outside. We also noticed that they had the nine concrete spheres along the front walkway painted like the nine planets. Hmm. I think Mike Brown would take issue with that. 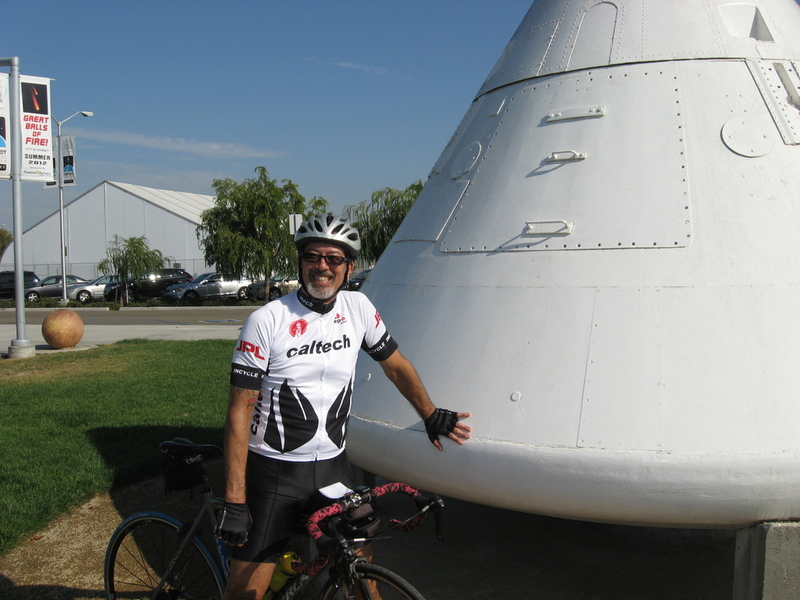 Leaving the space museum, we rode back through Downey to 3rd St Coffee. We found tables in the shade and had some snacks. We took a short side trip to see the two apartment buildings that the Carpenters bought with the money from their first two hit singles. 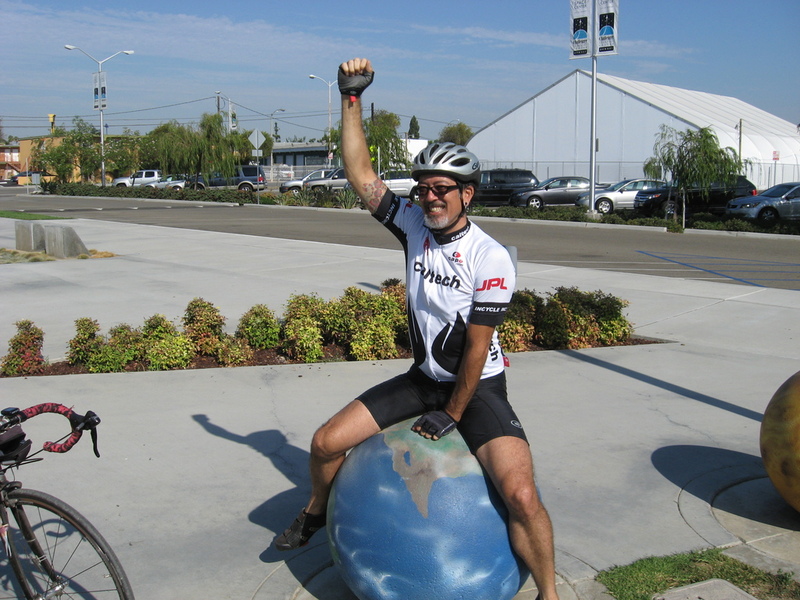 Then we rode over to pick up the Rio Hondo bike path for the trip home. By then it was pretty hot, but it was still a nice day and a pleasant ride.